Play online Keno games for real money at Slots Plus Casino! 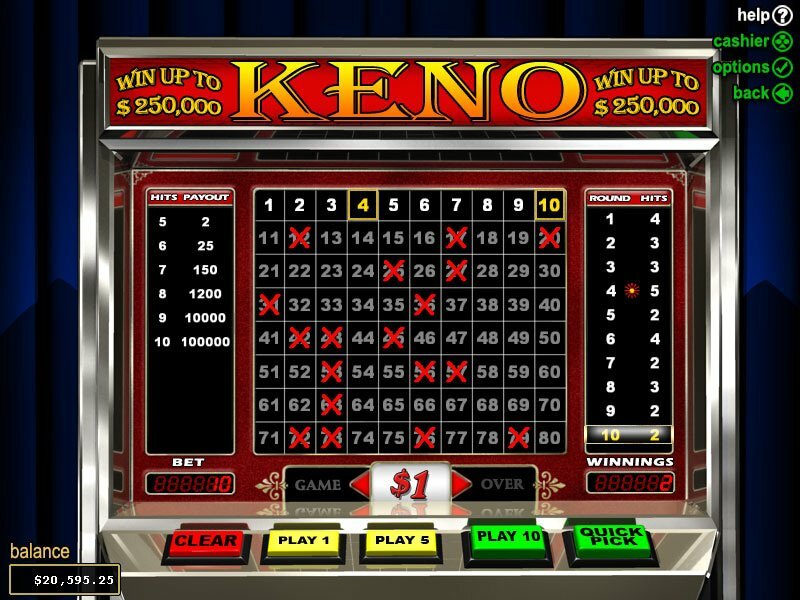 When you play online keno for real money at Slots Plus Casino, you can rest assured that you are getting one of the best experiences available anywhere in the industry. We've worked hard to provide this mix of lotto and bingo in several different themes and formats that we are sure you're going to love, and we'll even give you a fantastic bonus offer to help you get started! It's simple to learn, easy to play, and exciting when you manage to win big. There are only a few choices that you'll need to make, and those are outlined in more detail below. First of all, you'll need to buy a ticket to play online keno for real money at Slots Plus. You'll get to decide how much you want to spend, but remember that the more you pay, the more you can win. Then, the next step involves deciding how many numbers you'd like to select. Here, we'll allow you to choose between one and 15. While hitting one number provides a small payout, hitting all 15 produces a significant jackpot that could be worth more than $20,000 - that's enough for a new car! Once you've chosen your numbers, we'll pull numbers from a virtual hopper. You will need to pay attention to the numbers on the screen and mark them on your card when they match those that you chose. It's really that easy - there's not much to it at all. Please keep in mind that this is a random game of chance that is designed to be fun. In the event that you find yourself growing frustrated when you play online keno for real money at Slots Plus, please take a break for a while. It is just as important to exercise good gambling habits in an online establishment like ours as it is in bricks-and-mortar casinos, so be sure that you set a decent bankroll, spend only what you can afford, and stop when you've hit your budget for the day. You never know - you might just come out thousands of dollars richer. There's only one way to find out, and that's to visit our establishment today.